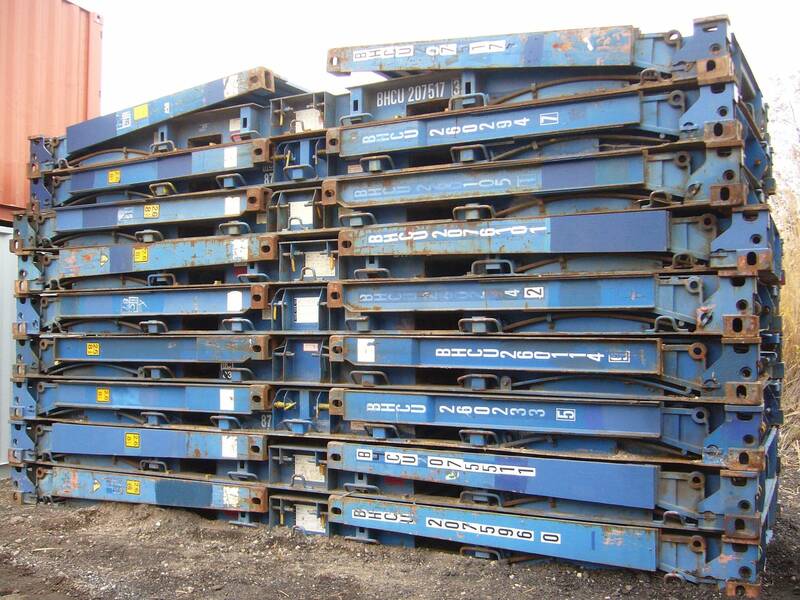 TRS stocks Used 20ft long flatrack units to transport or store oversized equipment. 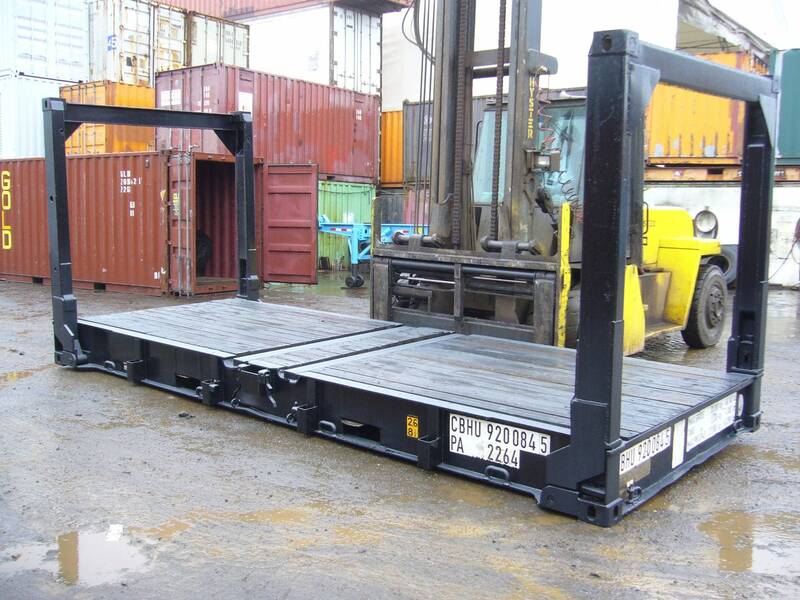 Flatracks allow you to load oversized or overweight items. TRS repositions the flatrack if you have another requirement. Cost effective flexible rental periods. Designed to transport oversized, odd shaped, extra heavy items. Load pipe, boats and machinery from the top or side without obstructions. Manageable to stack or move on construction site or military theater. Reusable and easy to transport. Constructed of 14-gauge non-corrosive cor-ten steel. Corner castings for easy lifting and repositioning. Equipped with flush folding end walls that fold down. Equipped with lashing D- rings along the rails to secure cargo. Equipped with spring assisted collapsible end walls. Max payload can only be used if cargo is distributed over total floor. 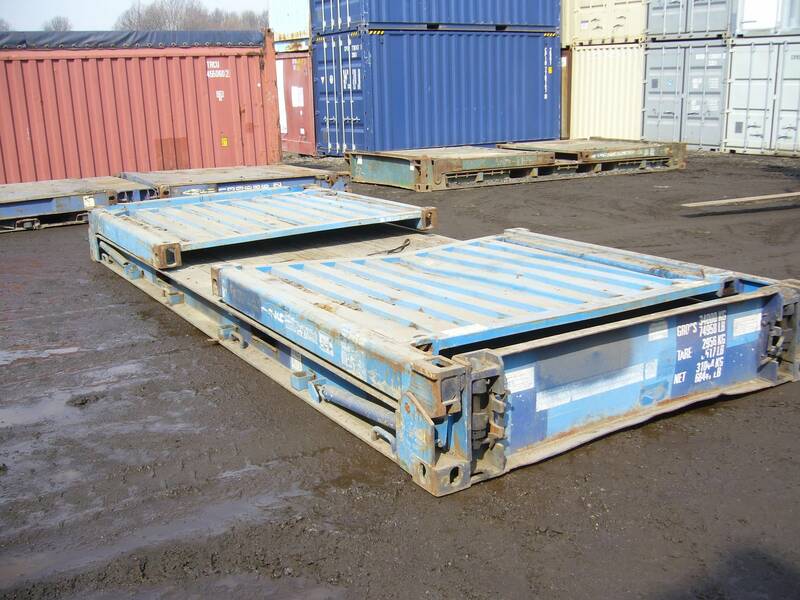 Stackable 7 high for empty transport. Standard sizing allows for transport by truck, rail or ship. Support for a modified shipping container. Temporary Bridges and walkways due to heavy weight load. Transport unique cargo internationally: cranes, farm equipment, rolls of steel, etc. Transport ultra-heavy and oversized materials.